This worktext provides vocabulary, situations, and communicative functions essential to police officers, firefighters, court clerks, and other law enforcement personnel. "Applied presentation" features realistic dialogues, personalized questions, situational role-plays, and realia-based activities that correspond grammatically with those in "Basic Spanish. 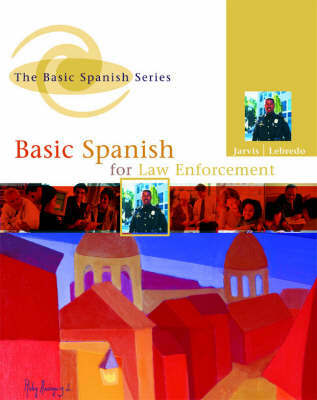 ""Practical, specialized vocabulary" includes terms essential for communicating in law enforcement settings, an in-text audio CD, and "Un paso mas" sections that offer additional vocabulary practice and realia-based activities. "Cultural focus" highlights Hispanic customs and traditions relevant to the subject matter of the lesson, in "Notas culturales" sections. "Comprehension checks" begin with comprehension questions on the dialogues in the "Digame" section that follows the vocabulary lists in the worktext, and end with pair activities in the "Hablemos" section for immediate reinforcement. "Convenient Phrasebooks" provide vocabulary words and phrases found in the worktexts for quick, on-the-job reference.